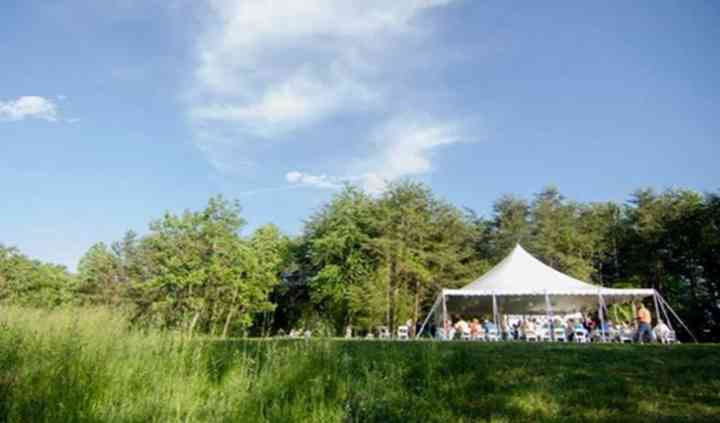 The Farm Retreat at Willow Creek is a country wedding venue located in Culpeper, Virginia. If you’ve dreamt of being immersed in the natural beauty of the countryside for your wedding day, look no further. 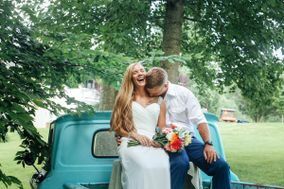 This venue sits on 100 acres nestled next to a small mountain where wildflowers, dense forests and a shimmering lake all transport you to a tranquil place. The facilities at The Farm Retreat at Willow Creek allows you to customize the space to reflect your personal taste, regardless of what it is. Couples can also take advantage of their wedding packages that come with an extensive array of crucial event services and other amenities. 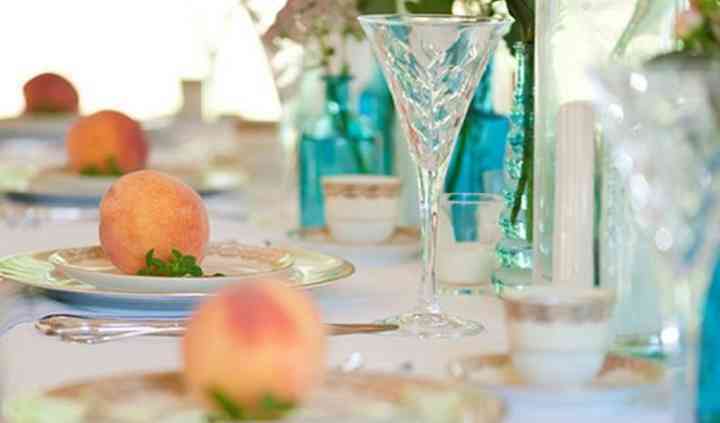 Get in touch with The Farm Retreat at Willow Creek today to begin planning your special day! This venue has a variety of event spaces that can accommodate for events of up to 400 people. Host an intimate outdoor ceremony near the tree line for a beautiful way to solidify your bond. Have your reception underneath an expansive white tent that allows for you to take in the natural space that surrounds you, with an array of décor options to match your taste. The Farm Retreat at Willow Creek is located in Culpeper, Virginia, one hour north of Charlottesville. This venue sits between U.S. Routes 522 and 29 near Lake Pelham and Culpeper Country Club. I cannot recommend Willow Creek enough. Rolling hills, green fields, a creek running to a quiet pond and all tucked away in the beautiful woods of Culpeper County. A covered pavilion provided the ... Read more perfect area for our reception creating an open, yet elegantly styled party. A separate dance floor with space for the DJ was perfectly sized and sturdy (trust me we, we tested the hell out of it!) location for everybody to let loose and get down. Paula and Carl Stafford (the owners) we're a huge help throughout the entire process, especially on the day of the wedding. Paula's experience in theatre really shined when staging the reception area and she and her husband were always on call to help with anything and everything throughout the night. They were professional, extremely flexible and honestly a complete joy to work with. My wife and I enjoyed every interaction with these wonderful people and truly felt we were in good hands the entire time. If you are looking for a country wedding that's rustic but stylish, elegant but comfortable then I highly HIGHLY recommend Willow Creek. You won't regret it. We were married September 22, 2018 under the glorious trees beside the mystical labyrinth at The Farm Retreat at Willow Creek outside Culpeper, VA. From our very first contact with Paula Stafford we ... Read more knew we were in good hands and that all would be well. It was indeed. The venue, the staff, every element was perfection itself. In addition, it was fun, meaningful, and memorable. My daughter Katelyn and her now husband Todd, chose this venue for their wedding on Oct 21st, 2017. I must say that Paula and Carl (owners) were so supportive and just truly lovely people. The farm is ... Read more is gorgeous and so very accommodating. We didn't want for a thing. One of the best parts is that we were able to decorate the pavilion the day before and boy, did that relieve a lot of our stress because we did it all ourselves. Paula even was on her 4 wheeler to take Katelyn's great Aunt and Uncle down to the wedding because they were late and frazzled and were afraid they were going to miss the ceremony! How is that for service? 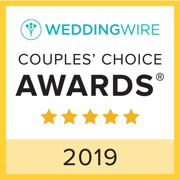 You will not go wrong if you choose this beautiful heartwarming venue!!! I am so happy they did! To all active duty military personnel, we offer 10% off either of our packages. The Poplar Package which is worth $4495 or The Willow Package which is worth $5295. Current military ID is required and the discount will be applied when you book us for your special day. Thank you for your service! The Farm Retreat is a very beautiful, warm, and relaxing venue. Paula is so wonderful to work with. Your event is guaranteed to be special. Please browse their website and facebook page, and I know they would love for you to visit and show you around. The Farm at Willow Creek is simply incredible! There are just so many features to this beautiful venue from the sparkling pond surrounded by little docks with outdoor seating to the gorgeous ceremony site with the arbor to the pavilion overlooking the fields of wildflowers. 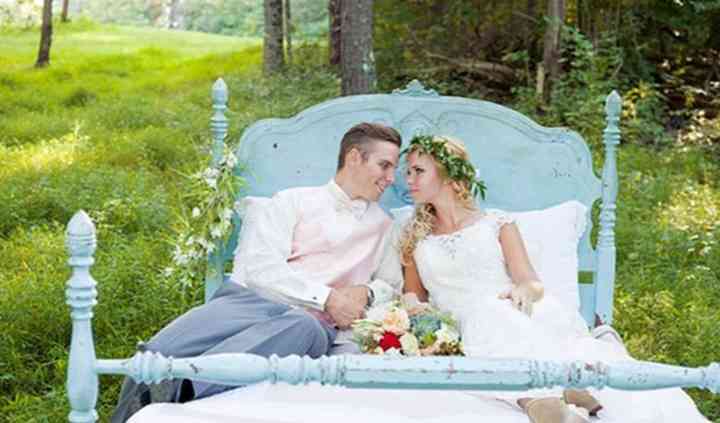 The Farm Retreat is the perfect place for an outdoor wedding!